← Thanks To Everyone For Making CRW A Success…How Can I Make It Better? There is so much to listen to, say, and write about the late Reverend Dr. Martin Luther King, Jr. that it would be foolhardy of me to think that I can encapsulate all – or even most – of the accomplishments of this great man on a blog post. Throughout the day, I will be posting my thoughts about Dr. King here at CRW, and will also be tweeting information of interest about Dr. King and his legacy on my Twitter stream @ericgyoung. Let me being by saying that I believe it is providential that we should be celebrating Dr. King’s legacy today. Why? Each of us who heard the false, ridiculous, and mean-spirited statements recently made by the Reverend Pat Robertson about the Haitian earthquake witnessed first-hand the living embodiment of hatred and deception. Such qualities are anathema to civil rights progress, whether the issue be racial, gender, disability, or sexual orientation. Unlike Rev. Robertson, Rev. Dr. King led his community to face seemingly insurmountable civil rights obstacles with a conviction to peaceful, yet persistent, non-violent protest. While unpopular with some as not going far enough to combat racism and discrimination, Dr. King’s approach recognized that all human being have inherent worth and are deserving of equality. Rev. Dr. King’s approach did not employ belittlement, revisionist history, hatred, or terrorism. Rev. Dr. King’s approach was as strong as steel; Rev. Pat Robertson’s weak as water. Rev. 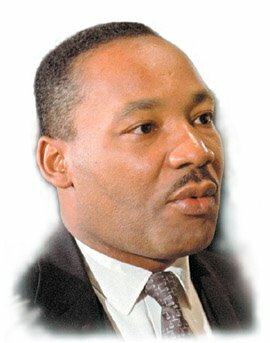 Dr. King’s philosophy – and, possibly, foresight – on the African-Americans’ civil rights struggles is epitomized in his ‘I Have A Dream Speech.’ You can link to the full text of the speech here. For many of you, the speech will seem like ‘old hat.’ Even if you consider yourself familiar with the speech, I urge you to read the speech again, read it to your children, read it in your schools or with your neighbors. 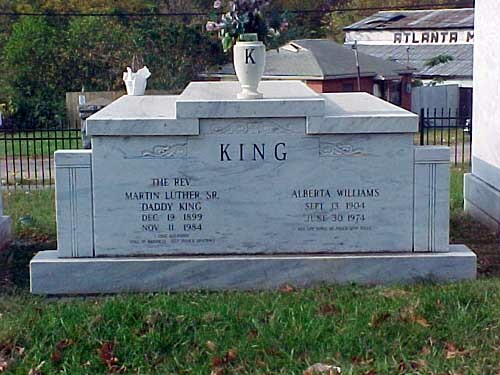 This entry was posted in activists, civil rights and tagged dr. king, jr, martin luther king, reverend martin luther king. Bookmark the permalink.